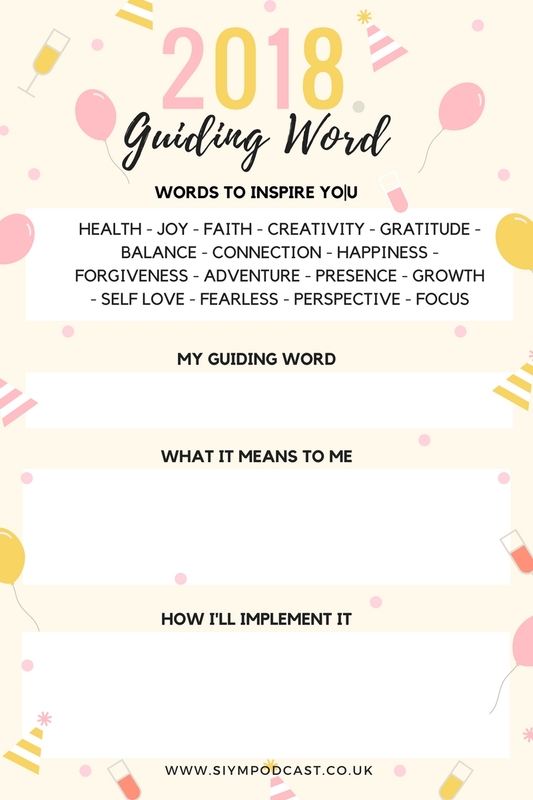 We're kicking off the New Year the only way we know how - with a whole load of goal setting. In the very first episode of the Stay In Your Magic Podcast, we're talking all things New Year's Resolutions. We discussed how we did with our resolutions from this year and what we've learnt from them. We talked about our tips for making resolutions stick and having the best year yet. Every episode we make a pdf of show notes with main the main take aways from the show (usually our top tips). We also include lots of resources we think you might be interested in. This week we've got some interesting articles on making new year's resolutions as well as some content creators that making amazing goal setting content. Make sure to check them out if you're looking for some more inspiration to start this year off right! We'd recommend taking an afternoon with a nice cup of tea and a notebook to get intentional about your 2018. 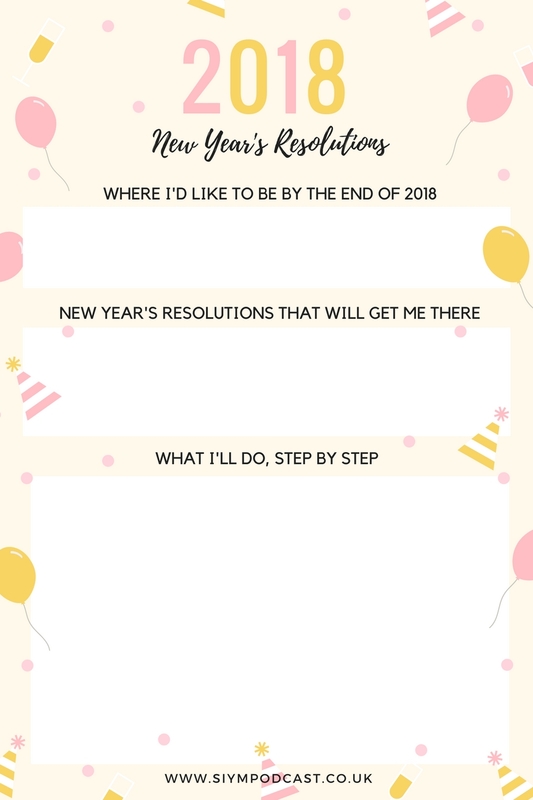 Use the free printables below to plan out your goals and resolutions. Try to start by thinking about your dream 2018 life. This is the fun bit. Where would you like to be at the end of the year? What would you like to be like and what would you like to have achieved? Once you've figured out your dream scenario, you can work out how to get there. What changes would you need to make to your current situation in order to get to your dream one? Once you've worked out what your resolutions will be, break them down! 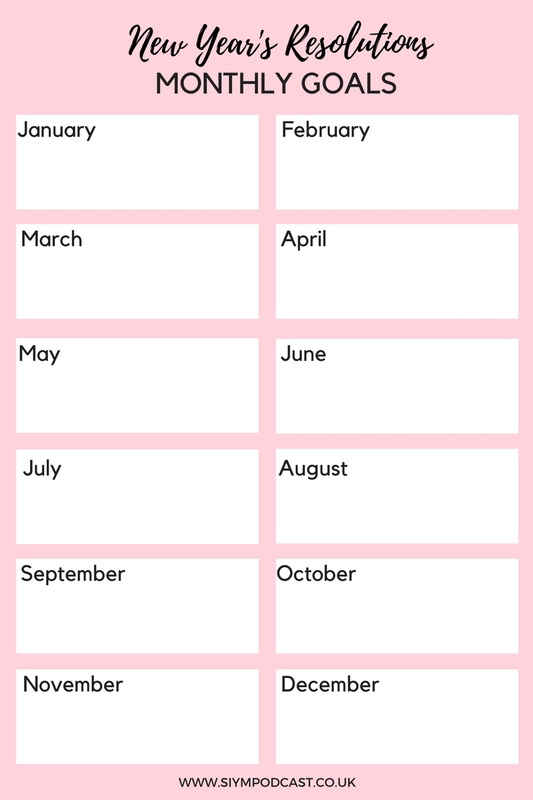 Start by working out what you need to achieve per month and then, if you can, try to work out what you need to do each week.. 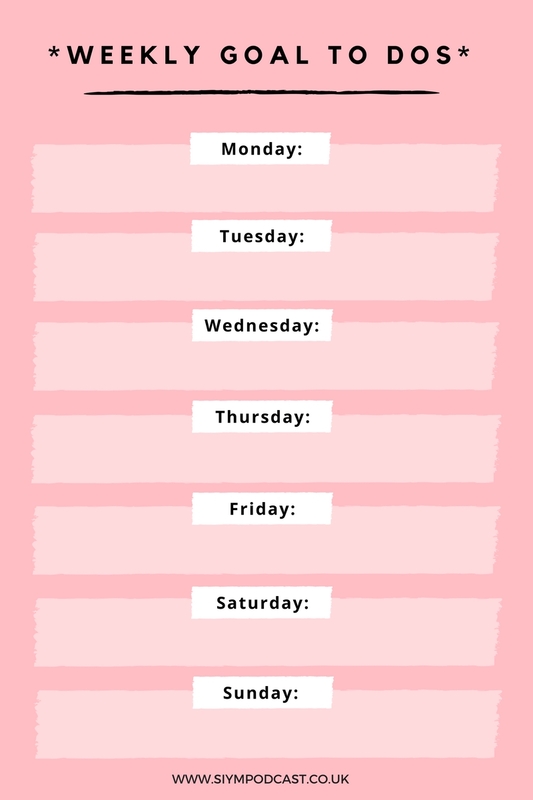 This makes a big goal much more manageable and also keeps you on track throughout the year. TIP - Write your resolutions or goals down on a post it note and stick it in your diary or planner so you look at them every day. We hope you have the most incredible year ever and smash all of your goals! You've got this!